Do I need a prescription to buy Omeprazole Orally Disintegrating Tablet (Omeprazole ODT)? No. 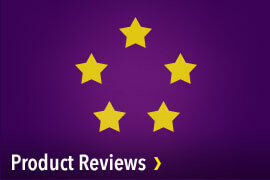 Omeprazole ODT is available over-the-counter without a prescription. However, it is always a good idea to talk to your doctor if you suffer from frequent heartburn, and before beginning any medication. How do I use Omeprazole ODT? Is taking Omeprazole ODT safe? Omeprazole ODT should be taken once a day, every day for 14 days. 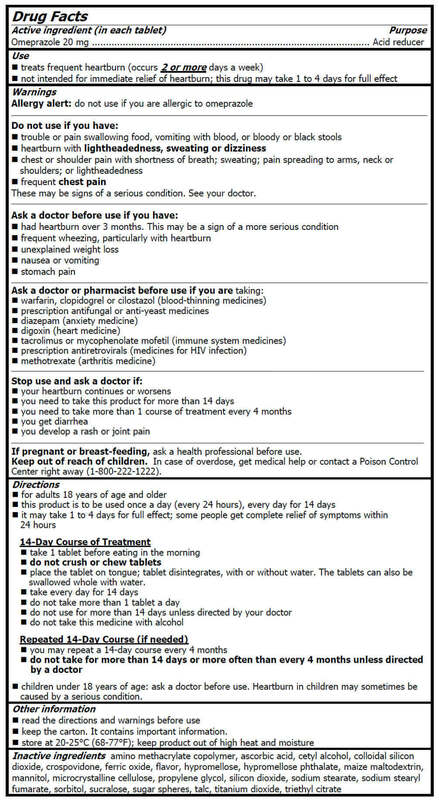 Do not take Omeprazole ODT for more than 14 days or more often than every 4 months unless directed by your doctor. 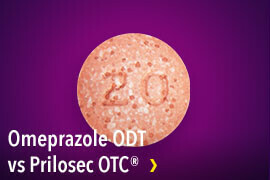 Omeprazole ODT is not intended for immediate relief of heartburn; it may take 1-4 days for the full effect. If PPIs inhibit acid production, how does the stomach digest food? 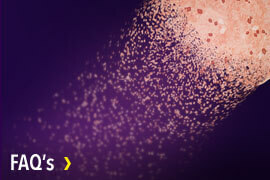 PPIs allow enough stomach acid to be produced so food can be digested as normal. The stomach also uses enzymes, which are not affected by PPIs, to aid digestion. How can I prevent frequent heartburn? There are things you can do to reduce or eliminate your discomfort. Diet and lifestyle changes, and a variety of over-the-counter and prescription medications, can provide significant relief to heartburn sufferers. More rarely, surgery or other techniques may be required. What happens if I don't treat my frequent heartburn? 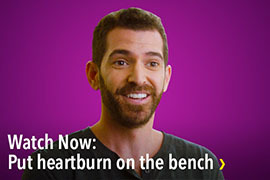 Heartburn can not only seriously impact your daily life and comfort, but frequent or persistent heartburn can be a symptom of GERD (gastroesophageal reflux disease), a more serious condition that can cause of number of complications, including ulcers of the esophagus, asthma and in rare cases, esophageal cancer. Having a doctor monitor your heartburn can help you avoid these complications. What's the difference between heartburn and frequent heartburn? 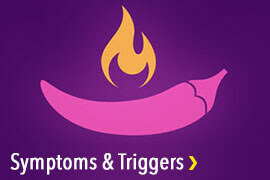 People who experience heartburn symptoms two or more days a week likely suffer from frequent heartburn. Additionally, people who suffer from frequent heartburn may experience symptoms despite avoiding common heartburn causes, like spicy or acidic foods and eating before bed. 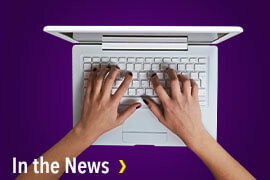 Learn more about common heartburn causes. What type of heartburn medication should I take? 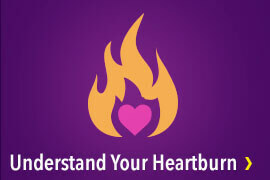 What type of heartburn medication you take depends on how you frequently you experience heartburn. 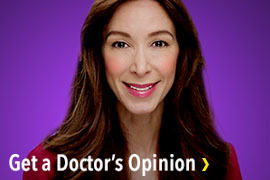 Learn more about different heartburn treatments. Acid reflux is when stomach acid backs up into your esophagus, which irritates the lining and causes a burning sensation. This burning sensation is commonly called ‘heartburn.' So technically speaking, heartburn is a symptom of acid reflux. Acidic, spicy, and fatty foods can contribute to heartburn. Less commonly, people may experience heartburn after drinking caffeinated beverages, alcohol or eating dairy products. Are heartburn and indigestion the same thing? No. 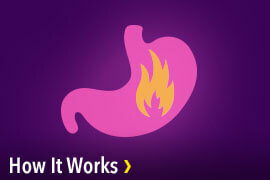 You can experience heartburn (or "acid reflux") without having indigestion. However, heartburn (or "acid reflux") can sometimes be a symptom of indigestion. How quickly does Omeprazole ODT work? While some may experience relief in the first 24 hours, Omeprazole ODT can take 1-4 days for full effect. Omeprazole ODT is not intended for immediate relief of heartburn. Omeprazole ODT treats frequent heartburn by preventing the stomach from producing acid. Even if you find relief early in your treatment, you should still continue taking Omeprazole ODT as directed for the full 14-day course to treat your frequent heartburn.